Are you motivated & energetic and looking for a job in a fun atmosphere? Celsius Tannery is looking for you! Please download and print our employment application. Deliver it to the salon of your choice. Resumes may also be submitted to info@celsiustan.com. Hush Lash Studio is Hiring!!! 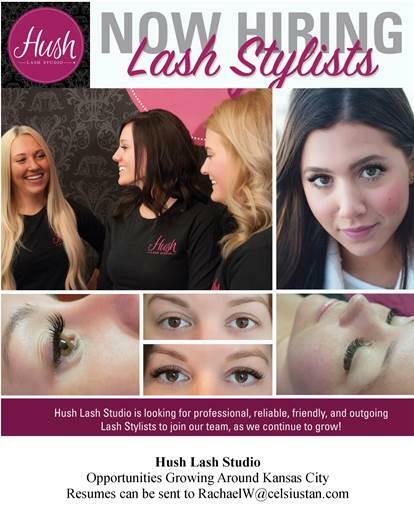 Hush Lash Studio is looking for professional, reliable, friendly & outgoing Lash Stylists to join our team! *Cosmetology or esthetics license required. Please contact rachaelw@celsiustan.com if interested.